Frankfurt-Hahn Airport in Germany is mostly used by low-cost budget airlines Ryanair for cheap flights and the best deals to London-Stansted and many European destinations. Cheap flights are available on Ryanair and other low-cost airlines such as Wizzair and Iceland Express flying from Flughafen Frankfurt-Hahn Airport (HHN), a small regional airport in the far west of Germany. Frankfurt-Hahn Airport (HHN) is closer to Trier and Luxembourg than to Frankfurt am Main. The main reason for using Frankfurt-Hahn Airport is for the low ticket prices and cheap flights or when traveling to the Mosel region. Frankfurt-Hahn Airport (HHN) is the main German hub of low-cost airline Ryanair. Hahn Airport is small but modern, if a little bare. No one will confuse it with Frankfurt International Airport (FRA) but then passengers using cheap tickets for low fares on low-cost airlines generally do not expect a full service airport. A few airport hotels are close to the airport, which have many early mornign and late-night flights. Hahn also has car-rental agencies, reasonably-priced long-term airport parking, and shuttle buses to several towns. Frankfurt-Hahn is relatively inconveniently located for visitors to Frankfurt am Main. However, ticket prices are low making it a viable alternative to Frankfurt International Airport (FRA) for passengers with more time than money. As always, it is worth comparing prices. Many internet reservation services include European low-cost airlines in price comparisons. Sometimes, full-service airlines with more generous baggage limits, guaranteed connections, and using more convenient major airports may work out cheaper both in terms of money and time when these services are required. Low-cost airline Ryanair has the most cheap flights to Frankfurt-Hahn Airport. Frankfurt-Hahn is Ryanair’s most important hub in Germany and continue to add new destinations. Ryanair currently flies non-stop from Frankfurt-Hahn Airport to Alghero (AHO), Balaton (SOB), Barcelona-Girona (GRO), Barcelona-Reus (REU), Bari (BRI), Birmingham (BHX), Bologna-Forli (FRL), Bratislava (BTS), Breslau-Wroclaw (WRO), Dublin (DUB), Edinburgh (EDI), Faro (FAO), Fez (FEZ), Fuerteventura (FUE), Gdansk (GDN), Glasgow-Prestwick (PIK), Goteborg (GSE), Jerez (XRY), Kaunas (KUN), Kerry (KIR), Klagenfurt (KLU), London-Stansted (STN), Madrid (MAD), Malaga (AGP), Manchester (MAN), Marrakesh (RAK), Milan-Bergamo (BGY), Montpellier (MPL), Oslo-Torp (TRF), Palma de Mallorca (PIM), Pescara (PSR), Pisa (PSA), Porto (OP), Prague (PRG), Riga (RIX), Rome-Ciampino (CIA), Santander (SDR), Santiago de Copostela (SCQ), Seville (SVQ), Shannon (SNN), Stockholm (NYO), Tempere (TMP), Tenerife South (TFS), Valencia (VLC), Venice-Treviso (TSF), and Verona (VRN). Some destinations are seasonal only. Passengers used to German low-cost airlines’ often generous luggage allowances, guaranteed connections, and free food on board should double check Ryanair’s terms and conditions as well as the actual location of the advertised airport prior to booking. Ryanair is by far the main airline flying from Frankfurt-Hahn Airport (HHN) but Wizzair also flies from HHN to East European destinations. 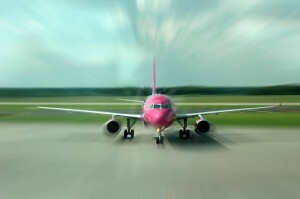 Wizzair (W6) currently flies from Hahn to Budapest, Katowice, Sofia and Targu Mures. Other low-cost and charter airlines occasionally use Hahn Airport in addition to a huge number of cargo planes. 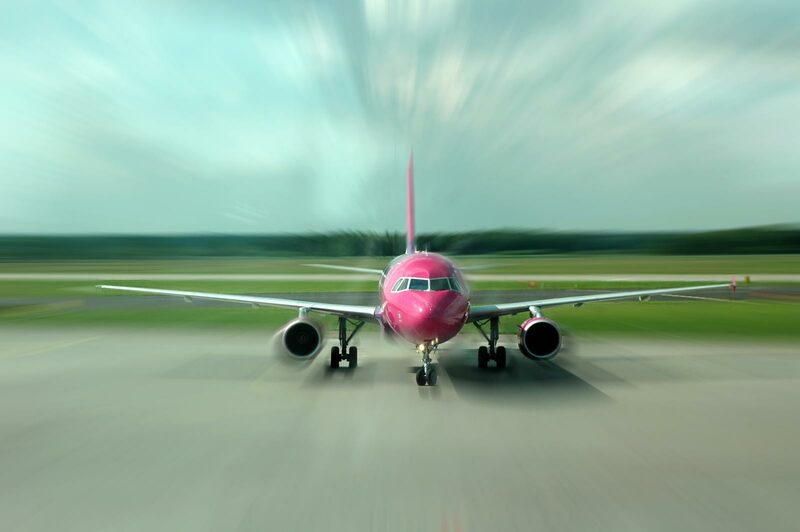 European low-cost airlines offer generally only point-to-point services – if the plane arrives late for whatever reason, no refunds or discounts are given for a missed second flight. However, it is possible to buy “Connection Flight Insurance” (Umsteigeversicherung) for flights with sceduled arrival and departure times more than two hours apart. For €7.90, Hanse Merkur has a policy paying up to €500 towards a new ticket (and up to €50 for a hotel if the next flight is the following day) for missed connecting flights via Hahn.